They are the apps that can make all the difference between an efficient, productive day and time wasted trying to figure out what to do next. Not just organizers and list-makers, but apps that contain all the information you need to get one task done and move on to the next. A shopping management tool that organizes your pantry, refrigerator and more, and then syncs them with your favorite stores to cut shopping time in half. Grocery Gadget Shopping List helps you create permanent lists across multiple stores, and then ‘learns’ how you shop, re-ordering the lists to make you more efficient. Pricing comparisons and matching coupons make sure you get the best deal, and an online portal and cloud storage options ensure the information is always available. 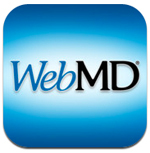 One of the best-known health-related web sites – and certainly one of the most sophisticated apps – WebMD offers 24/7 mobile access to a vast amount of health information and decision-support tools. Features include a symptom checker, first aid essentials, drug and treatment descriptions, and local health provider listings. The app can be personalized to store your family’s information and offline access ensures constant availability. One of the original barcode scanners and still one of the best – it’s almost impossible to come up with a product it can’t find! It also reads QR codes. 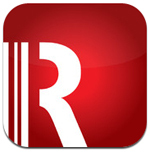 The RedLaser app searches for prices using Google, Shopping.com, eBay, American Express, and more, and provides information on coupons, deals, weekly circulars, and even store maps. 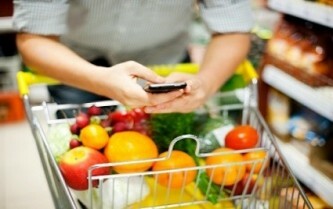 Includes in-app purchasing for home delivery or in-store pickup. 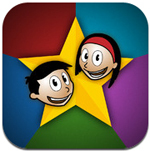 The perfect way to keep your kids busy and motivated, iRewardChart assigns chores and tasks, tracks accomplishments, and suggests awards for achieving pre-set goals. 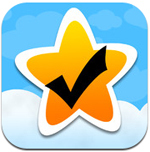 You can choose from the iRewardChart list of task suggestions or you can enter your own. Similarly, you can choose from the suggested awards – $5 pocket money, an hour of TV, etc. – or customize your own awards. Other options include motivational messaging and a star system to track achievements. 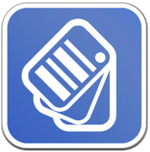 BillMinder helps you stay on track of payments and expenses by storing all your bills in one centralized location. You can organize by payee or payment date, and receive reminders when you arrive home or at times of the day when it’s convenient to make payments. 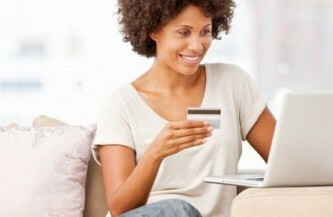 You can set up automatic payments, track bill-paying history, and get multiple reports. Know exactly what you owe and never pay a late fee again! Whether it’s cleaning the house, doing the laundry, tending to the garden, or finishing off that DIY project, HomeRoutines will help you organize your household routines and make you more efficient. You can divide your home into manageable zones and organize routines by day, week, month or season. Timers and a gold star reward program will help keep you focused and motivated. Too busy to get something done yourself? 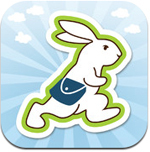 Outsource your task with TaskRabbit, an efficient, background-checked delivery and errand service currently operating in 10 cities and growing all the time. Whether it’s grocery shopping, picking up the dry cleaning, or delivering lunch, just pick the task from TaskRabbit’s spinning carousel or voice-record your own instructions. Payment and tipping is taken care of through the app, and GPS tracking gives you up-to-date status reports on your task. No more searching for those hard-to-find loyalty and membership cards! Key Ring Rewards Cards slims down your wallet and speeds up the checkout line by storing everything you need in your smartphone. Once you register your cards, you can start receiving additional coupons and loyalty awards, which can be shared with friends via Facebook, Twitter or e-mail. 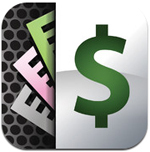 One app that is virtually guaranteed to save you money! 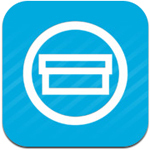 Just take a picture of your receipts and Shoeboxed Receipt Tracker will organize them for you, extracting the store, type of purchase, date, amount, and more. Shoeboxed can create expense reports, which can be exported to Quickbooks and dozens of other accounting tools, and e-mail support is available for instant download. Great for business or just keeping track of the household budget! 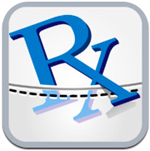 PocketPharmacist is a great way to keep track of the family’s medical conditions, allergies and medications. It also gives unbiased information on over 1,500 of the top medications that are prescribed in the United States, including potential side effects and reactions. The app is perfect for moms, as well as caregivers, physicians, nurses, medical students, and other healthcare professionals.